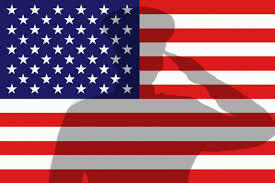 We extend our sincerest appreciation for our United States Military Veterans – thank you for your service! NEW YORK, NY – November 10, 2017: As we commemorate Veterans Day 2017, it gives us great pride at VETS Indexes to salute all our United States Military Veterans. We offer our genuine gratitude and thank these brave men and women for tirelessly serving our great nation both near and far, so that we may live in freedom. It also gives us great satisfaction to wish the United States Marine Corps a happy 242nd birthday on this most fitting day. The service and sacrifices made by all veterans from each branch of service is to be commended with reverence and appreciation. VETS Indexes is built on the premise that companies who consistently employ, develop and support our military veterans reap the benefit of their specialized skill sets, mission-critical approach and strategic training to achieve greater enterprise performance. ABOUT VETS Indexes: VETS Indexes is an independent provider of custom indexes within the Environmental, Social and Governance arena. Drawing on deep and broad industry experience, we construct and disseminate thematic impact indexes for investors, exchanges and asset managers which serve as the underlying portfolios for financial products. “SERVING THOSE WHO SERVED” - VETS Indexes provides a social impact via those public companies that support the hiring and professional development of our military veterans.